Add 4 Liv Flush Blend to your Favourite Herbs list. 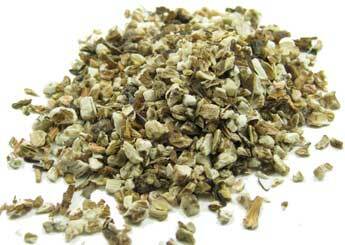 Herbosophy's 4 Liv Flush Blend is a 4 Herb mix of pure dried Baical Skullcap, Chanca Piedra, Dandelion Root and Licorice; contains no fillers, preservatives or additives and is freshly encapsulated for you at order or packaged as loose powder: the choice is yours. These bitter herbs together are traditionally considered by Herbalists to be mainly cool and drying hepatics in culinary and health use. One of the most popular blends in Herbosophy has just been made better. Re-formulated to contain some of the best traditional herbs, this blend can now be easily taken as a tea. Just open a capsule, pour some hot water and BAM! You'll be drinking a lip curling bitterness only your liver will love. Take before meals and add honey if required. I have been taking Liv Flush for a few weeks now and feel a substantial improvement in my digestive function. Everything was feeling sluggish and heavy previous to starting with Liv flush. Feel like I have more energy as well. Great product! Bitter taste but SO worth it !!! Been taking LIV 4 Flush now for past 3 weeks.....have also stop drinking wine, all alcoholic drinks(because , thru blood test my liver enzymes levels were REALLY high/abnormal). I also started exercising at my local gym. The LIV Flush herbs I open the cap and pour into 1 inch of boiling water, wait for it to draw, as you would a cup of tea.. Then go to the sink. Brace myself & skull ! !! Followed by a large glass of water, to wash it down. Its super bitter....but strangely, I look forward to taking it. Because I can just feel it "working". Skin feels smoother, & Im no where near as "clamy". I think my liver loves this stuff ! Feeling awesome ! I bought this mainly for the schisandra and baical but I find the whole thing has improved my liver function. Don't feel so sick and my skin is better too oddly enough.